This little piggy can’t wait to go all the way home with your family and friends after celebrating your little girl or boy’s special occasion! 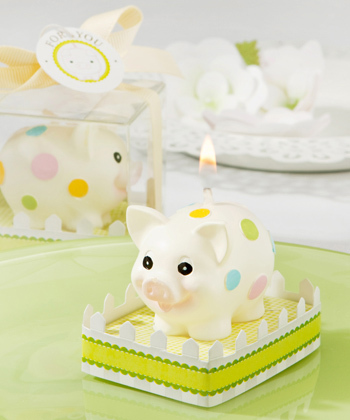 It’s a candle that’s shaped like a piggy bank, covered in colorful polka dots, has smiley eyes and is ready to shine. And at Fashioncraft, we think that’s one pleasing piggy!